It may sound counter intuitive but Puerto Vallarta weather is most enjoyable during the winter months. Thousands of “snow birds” flock to Puerto Vallarta for the winter to escape the snow. Here in Puerto Vallarta, the average high temperatures are in the mid-80s F (high-20s C) and low temperatures in the high-50s F (around 15 C). 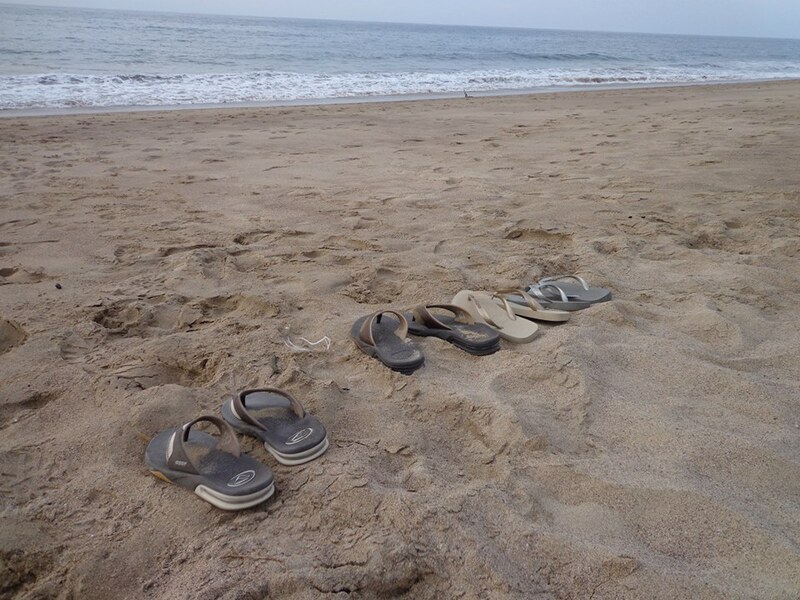 While Puerto Vallarta weather is flip-flop perfect, its beautiful beach and ocean are absolute heaven! Most travelers will agree that in Puerto Vallarta, Mexico the very best weather is experienced during the gorgeous high-season months. The average day-time temperatures are in the low-80s F, there are light breezes, and humidity is comfortably low. In November, American and Canadian snowbirds begin arriving on the golden-sand beaches of Banderas Bay to escape harsh winter weather back home. In December and January these snowbirds are joined by Mexican families and tourists celebrating the Christmas season and Winter Break. Puerto Vallarta weather during this time frame is absolutely fabulous. Air conditioning is not needed. Just open up your windows or balcony doors and let the ocean breeze flow through. From March to mid-April college students flock to Puerto Vallarta to enjoy organized Spring Break festivities. And about the same time that these young international tourists are arriving to enjoy Puerto Vallarta’s incredible resorts, restaurants, nightclubs and adventure tours, a large number of Mexican nationals begin arriving again to the coast to celebrate the two holy weeks of Easter. Semana Santa is the week leading up to Easter Sunday, and Semana Pascua is the week following Easter Sunday. Everyone is looking forward to having a chance to relax, unwind, and celebrate. During this festive holiday period Puerto Vallarta weather starts getting a bit warmer with some light and palpable humidity by the end of April, but nothing that’s too bothersome. Because of the steady flow of visitors during high season, the vibrant city of Puerto Vallarta and its beaches bristle with energy and excitement! It’s a prime time to visit this popular tourist destination. Although one of the biggest draws to the area is the famously gorgeous Puerto Vallarta weather, but when you add onto that the sun, beach, ocean, friendly locals, and all the fantastic tours and adventures available – it truly a delicious slice of Paradise! The low season months in Puerto Vallarta mark the time when the city has emptied out a bit, as the majority of vacationing families and snowbirds have departed and returned home. During the low season months Puerto Vallarta weather really pumps out the heat. From June through September the humidity is very palpable, with average day-time high temperatures in the mid-80s F. Most especially during the months of July and August the days very sticky and hot, but not enough to sideline activities. One of several big draws to the area at this time of year is the fantastic light show that goes on most evenings over the bay. You’ll hear huge sonic booms and crackles as the sky lights up with lightening and rolling thunderstorms. Frequent travelers know that the low season months are some of the very best times to vacation in Puerto Vallarta. Non-heated swimming pools are at the perfect temperature, the ocean water is warm and inviting, traffic is calmer so it’s easier to get around Banderas Bay in a rental car, and parking is more plentiful in downtown Puerto Vallarta. Many all-inclusive resorts, hotels, and rental condos encourage travel by offering great off-season rates, and many restaurants and bars will entice visitors into their establishments by offering some wonderful off-season specials on delicious meals and drinks. Although the summer months comprise the rainy season, it’s unusual for activities to be sidelined by the rain. The weather pattern experienced is that of sunshine in the morning, a short afternoon rain, then the clouds part and the sun re-emerges. The majority of storms and rain seem to take place late in the evening through the early morning hours. Frequent travelers to Puerto Vallarta often refer to a few choice months of the year as the Shoulder Season. This season is actually comprised of two sets of months: April and May, and October and November. The first leg of the shoulder season is between the high- and low season months and during this time Puerto Vallarta weather is ideal with refreshing cool winds. In fact, this breezy weather is perfect for sailing on Banderas Bay and for kite surfing. For our family, hands down, April and May are our favorite months to vacation in Puerto Vallarta, Mexico. This is when kite surfing contests are scheduled, it’s when the fabulous Restaurant Week occurs, and when the Altruism Festival happens. The second leg of shoulder season are the months just before the high season really starts ramping up. Puerto Vallarta weather during these periods is warm and beautiful, and there are often great travel discounts and other incentives available for airfare, hotels and condo rentals. For all accommodations with non-heated swimming pools, the shoulder season is the ideal time of year for travelers to enjoy resort and condo swimming pools as the water temperature during these months in Puerto Vallarta is absolutely perfect! STAY CONNECTED WITH US ON FACEBOOK AND PINTEREST!